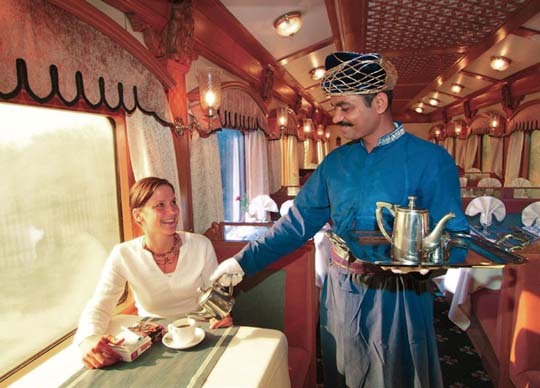 Indian Odyssey, a well-planned tour of 8 days and 7 nights, aboard the luxury Deccan Odyssey train, offers you a chance to explore some of the most popular destinations of the north and west India. Along with enjoying impeccable Indian hospitality, visit cities like Agra, Jaipur, Jodhpur, Udaipur and Vadodara. The itinerary also includes wildlife safari at the Ranthambore National Park. On day 1, once you arrive in Delhi, assemble at the Safdarjung Railway Station. Enjoy the traditional welcome ceremony. 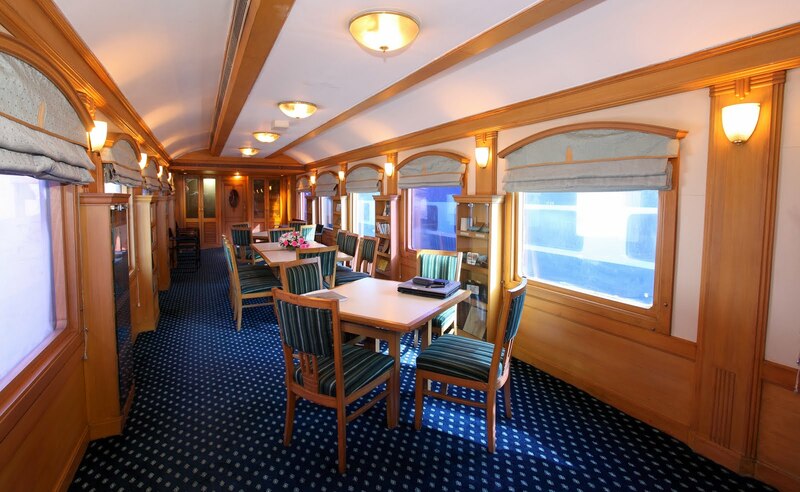 Complete your check-in formalities and get aboard the luxurious Deccan Odyssey. Relish your welcome drink and settle yourself in your designated cabin. Meanwhile the train starts its journey for the first destination Sawai Madhopur to meet the ferocious big cats at the Ranthambore National Park. Once you arrive at Sawai Madhopur, on-board the train to visit Ranthambore, known for being home to a good number of tigers. Partake in wildlife safari for the day in the Tiger Reserve, which was once the private hunting ground of the rulers of Jaipur. The day would be divided into 2 safaris- morning and afternoon. Back to the train for overnight stay. On the 3rd day, the Deccan Odyssey arrives in Agra, famed as the Mughal City. 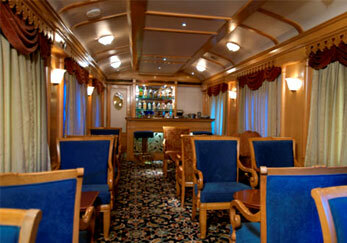 Have your breakfast on-board followed by a city tour of Agra. You get a chance to explore the world-popular structures that were built during the Mughal Era. The first visit of the day is to the enchanting Taj Mahal, one of the Seven Wonders of the World, a while-marble mausoleum. Later in the day visit another popular monument Itmad-ud-Daulah Tomb. The last attraction that you visit is the UNESCO World Heritage Site of the Agra Fort. Overnight on-board. Today the train arrives in Jaipur, the vibrant capital city of the Royal State of Rajasthan. Also known as the Pink City, historical Jaipur is home to amazing palaces, forts and much more. You visit the popular monuments of this city. Later, indulge in shopping at the eclectic mesmerizing bazaars of this city wherein you can get some amazing handicrafts, Indian apparels, imitation jewelry, gems, like nowhere else in the world. The evening is scheduled for a gala dinner at a special venue. Go back to the train for staying overnight. On day 5, the train arrives at the Blue City, Jodhpur. Relish tasty fresh breakfast aboard. Post breakfast, leave the train for exploring this beautiful historic city. Spend the day by partaking in the well-known Old market of Jodhpur, where you can also collect souvenirs. The day also includes a visit to the magnificent Mehrangarh Fort, placed 400 feet above the city level, offering an amazing view of the surrounding area. 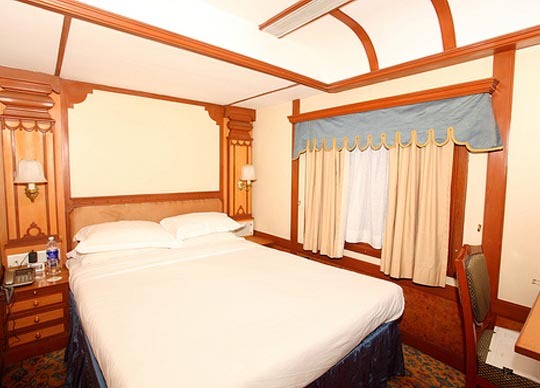 Overnight stay aboard the Deccan Odyssey.